I visited Cuba for a week at the end of May with a small group tour company called Cuban Adventures. Growing up in Miami, I was exposed to Cuba culture (and the delicious food) at a young age and have always wanted to visit the country. I kept putting it off until I saw articles about huge masses of tourists visiting the island. I wanted a chance to visit before the country is officially opened up to Americans because I imagine it will start to change pretty quickly. It’s not the easiest destination to visit but this beautiful and mysterious country is well worth a visit. I’ve included a few tips and pointers, especially for my fellow Americans. Visiting legally or illegally. 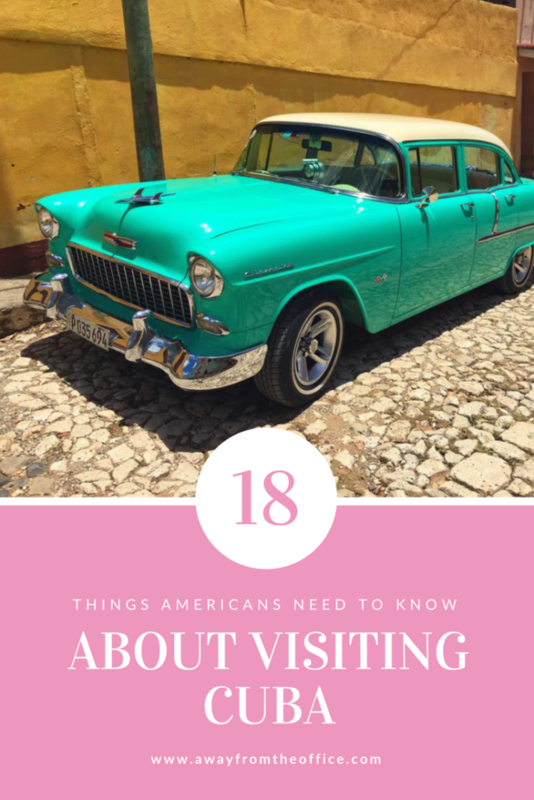 As of May 2015, Americans could not legally visit Cuba unless they fell into one of 12 categories, ranging from journalistic activity to support of the Cuban people. Prior to January 2015, Americans had to apply for a license in advance, using one of the 12 allowed categories. After January, the rules changed such that Americans no longer need prior approval the government trusts that you’re going for the reason you specified. I’m not sure if this happens with all airlines but when I flew from Mexico City to Havana with Aeromexico, all the Americans were given a form and we had to select one of the twelve categories. Given that I have a travel blog, I chose journalism. On the way home from Mexico City, the American customs officers never looked through my passport. Could’ve been due to the fact that I have Global Entry but even if they had, I was prepared to tell them that I went to Cuba under one of the 12 allowable categories. I have no idea if they would’ve pulled me aside or waved me through. None of the other Americans traveling on my tour had any issues re-entering the United States. Bring Euros or Canadian dollars. While you can exchange US dollars in Cuba, you’ll get slapped with an additional 10% fee. Change money at your local bank and bring extra cash in case you have an emergency. As of May, there was no way for Americans to access money using ATMs or credit cards. A guy on my tour didn’t realize he needed to bring cash and tried several ATMs without success. Unfortunately, he only had US dollars so he had to pay the extra fee to exchange his money. You can try calling your bank to see if they will allow you to access your money in Cuba but even then, I would recommend bringing cash. Cuba has two currencies. One is the Cuban convertible peso (or CUC for short), which is aligned to the USD. One CUC = 1 USD. There is also the Cuban national peso (CUP), which is used by locals the same way Americans used ration stamps during the war. Locals can buy food and supplies with it and it’s rare for tourists to encounter this currently. Do not exchange money at the airport. If you must exchange money, limit the amount to a small transaction. I had a driver waiting for me at the airport and as I walked over to the exchange desk, he warned me that tourists are frequently ripped off. Instead of exchanging a few hundred dollars, I opted to exchange $50 instead. I found out later that two ladies in my tour group had $200 stolen from them at the exchange desk. Another helpful tip: Have your passport ready when handing over your cash. Regardless of where you travel, you almost always need a passport to exchange cash. If you hand over your money first and then start digging around for your passport, it gives the other person the opportunity to steal some of your money. After you’ve received your money, you should count it back just to make sure it’s accurate. Your luggage may take forever to arrive. I waited for 2 ½ hours for my checked bag to arrive off the luggage belt. It was hot, humid and I was getting incredibly stressed out. The airport workers assured me that my bag would arrive any minute but I was losing patience. Cuba is not really the place where you want your luggage to get lost or delayed since it’s a bit more difficult to replace clothing, toiletries and other necessities. Turns out that the Havana airport, despite being fairly small, is just incredibly slow. Bring all your basic necessities. Basic toiletries, like bug spray and sunscreen, can be difficult to find and/or expensive. Make sure you pack just about everything you need rather than relying on buying items once you’re in Cuba. My suitcase was a little heavier than normal since I brought more sunscreen, bug spray and shampoo than I actually needed but better safe than sorry. I also left behind the extra at various homestays since American products are difficult for Cubans to obtain. The food is bland. This one surprised me since I’m used to the flavorful Cuban food served in Miami. The food in Cuba wasn’t bad but it was very bland and wasn’t what I was expecting. I wish packed a mini bottle of hot sauce with me since there is none in Cuba. I’m assuming that the food is bland due to the embargo since it’s so different from what you’d typically get at a Cuban restaurant in the U.S.
You need a visa. All tourists need a visa in order to enter Cuba. You can purchase a visa from the airline taking you to Havana but I opted to order mine online before I left from Cubaism. On arrival at the Havana airport, the immigration officer will stamp your card and give you half of it back. Do not lose this half of the card. I don’t know what happens if you lose it but I imagine you’ll be dealing with a lot of unwanted bureaucracy. Print out your travel documents. Finding a working printer can be difficult in Cuba. Make sure you print out all the documents you need, such as airline confirmations, hotel reservations, travel insurance information, etc before you arrive. Book a tour. While I’m sure it’s easy to travel solo, I opted to book a tour with Cuban Adventures since I wanted to see as much as possible in 8 days. The guide was spectacular and there was plenty of free time at each stop. Instead of staying at hotels, we stayed at casa particulars, which are houses owned and operated by individuals, sort of like a bed and breakfast. What’s nice about the casa particulars is that they help families earn extra income. Passport stamp. Customs will more than likely not stamp your passport but you can always to make sure. Since I thought the chances of being caught on the way home were slim, I asked the customs officials to stamp my passport. I love collecting passport stamps and didn’t want to miss out on one. The rum is delicious. Havana Club rum is sold everywhere and is often less expensive than buying a bottle of water. I may have returned with a few bottles in my luggage. Insurance. 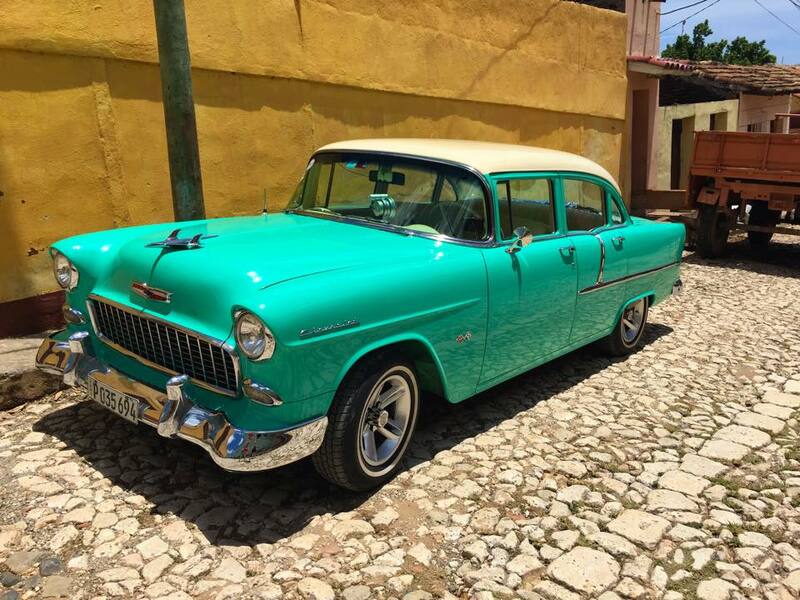 You must have insurance when visiting Cuba and it’s possible the immigration officials will do a spot check to see if you have it. 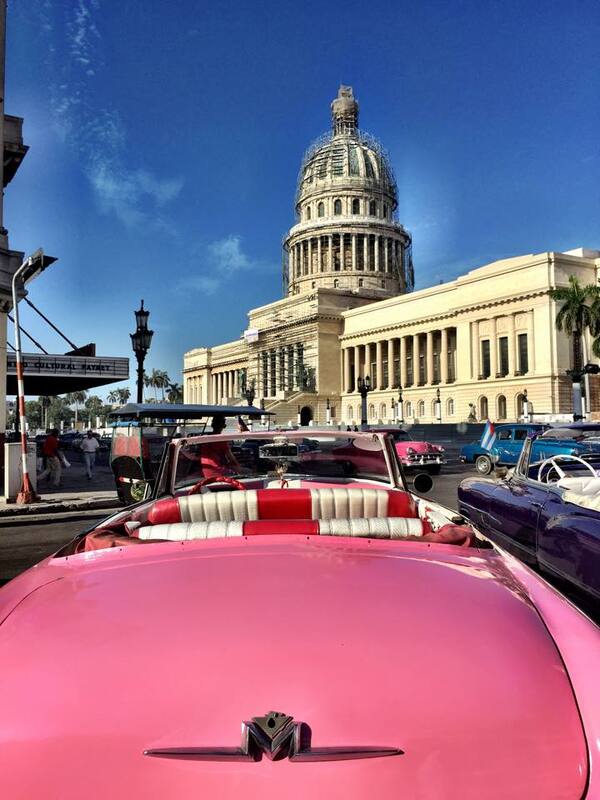 Not all American travel insurance providers will cover your trip to Cuba. To find ones that will, check out Insure My Trip. Beware the Jineteros. Hustlers in Havana, also known as Jineteros, are common in Havana and there’s no way to avoid them. If you feel like someone is being overly friendly and they speak good English, chances are they’re a Jineteros and they’re looking for more than just good conversation. They’ll often suggest a nearby restaurant that you should join them at and if you do, you’ll get stuck with the bill. This happened to two women on my tour and it was an expensive evening for them. The touts in Old Havana do get tiring after a while. I tried to relax in one of the central parks but had a stream of taxi drivers, musicians and other solicitors trying to get me to spend money. Thankfully, I didn’t see Jineteros in other towns I visited, such as Vinales, Cienfuegos or Trinidad. Learn the language. 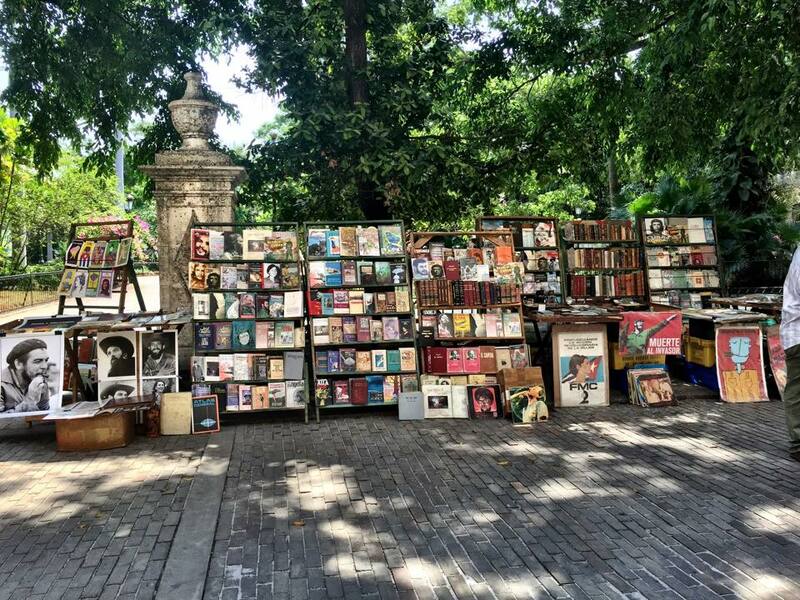 While some Cubans speak English, many do not, especially as you leave Havana. None of the owners of the casa particulars I stayed at spoke any English at all. While I had a Spanish dictionary with me, I wish that I had brushed up on my Spanish before I left. Internet access is limited. Internet access in Cuba is limited to higher-end hotels or a government-run location, where it will run you $5 for an hour. The speed is dial-up slow so don’t plan on uploading a lot of photos to Facebook or Instagram while you’re there. I used the Internet a few times while I was there to check in with my husband but otherwise, it was nice to detox from all things digital. Take salsa lessons in advance. Salsa dancing is everywhere in Cuba. While you can take lessons once you arrive, it’s handy to have a few basic steps down so that you can participate without looking completely out of place. Cell phone service. When I went to Cuba in May, there was no cell phone coverage anywhere on the island. The only two useful things my phone could do in Cuba were taking photos and waking me up. While traveling in Cuba has its unique challenges, I definitely recommend a visit. The Cuban people are among the nicest I’ve encountered in all of my travels. This is such a helpful breakdown! I’m from the US and Cuba’s always been so mysterious to me, and I’ve absolutely interrogated everyone I’ve met who has been there. Usually people just mention that Cuba has two currencies and that it’s hard to buy basic supplies there. All of the non-Americans I’ve met who have gone there have sort of shrugged their shoulders and said “it’s really weird” and “it’s interesting.” Anyway, so glad to stumble on more information on it! 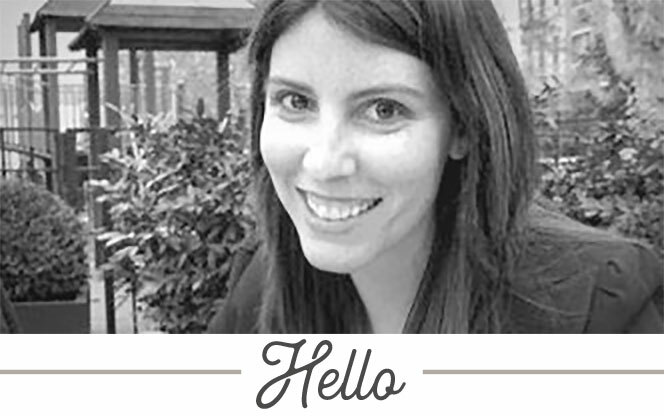 Very nice article and so inspiring your blog!